Venice was one of the few cities in the past to have peaceful and commercial relations with the East, as evidenced by the famous book Il Milione by Marco Polo. 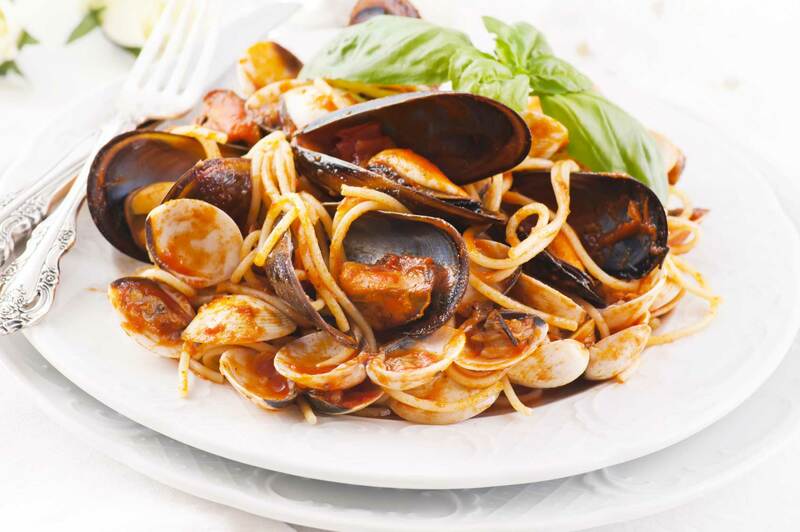 Here in the city there are historical communities that have contributed with their culture to create the traditional dishes and also some typical words of the Venetian dialect. Departing again from the railroad station and Piazzale Roma, you can continue straight ahead towards the Strada Nuova, the New Street, which owes its name to Napoleon Bonaparte: it was, in fact, one of the last streets built by the Emperor who, having to pass through the area with his horses, constructed a wide street which resembled a Parisian boulevard, Begin the tour with a short stop and imitate the local tradition with a “goto”, a drop, of Pinot Grigio or Chardonnay at the Trattoria Vittoria. Passing over the Ponte delle Guglie bridge, easily recognizable for its “guglie”, or pinnacles at the initial and final point of the bridge, you will see on your right a piece of water from which you can enter into the oldest ghetto in Europe. “Ghetto” in fact, is a Venetian word which indicates a foundry, the area in which the first Jewish families of the city settled. The Jews were one of the historic communities of the city and belonged to two large groups, those of Spanish origin who traded textiles and precious ointments with the Arab world and those of Geman origin, who traded in wood. If you arrive on a Saturday, you can see the lively community celebrate the Sabbath, the day of rest dedicated to God. The synagogues hidden behind these buildings, the highest in all of Venice, are splendid. 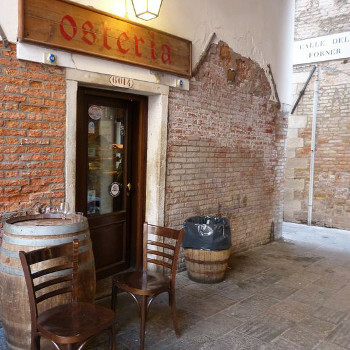 Continuing onwards, you can easily arrive at the Fondamenta della Misericordia, an area in which young Venetians have recently settled; here you can smell the ethnic aromas which come from various spots while you walk through the streets. 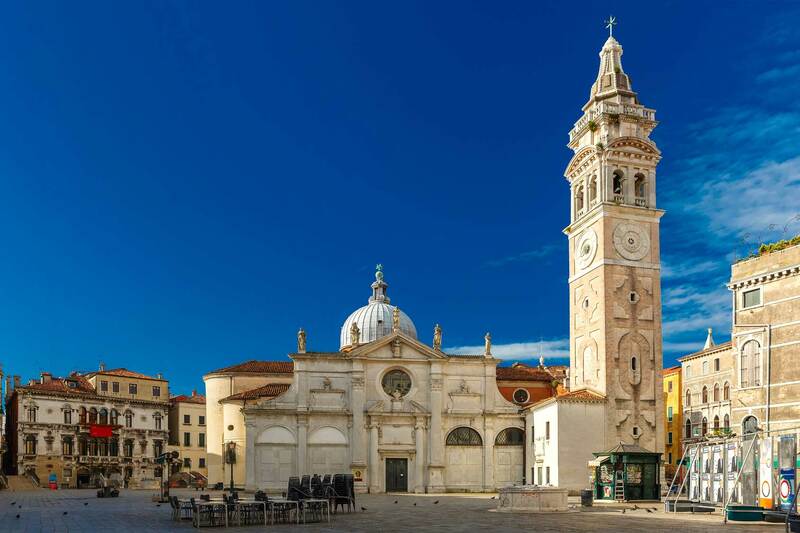 You will then reach Palazzo Mastelli, or Palazzo del Cammello, whose story is tied to the arrival of Turkish merchants in the city in the year 1112. 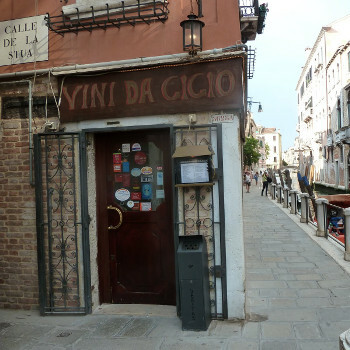 And this is not all: near here the house of celebrated painter Jacopo Tintoretto is located. Returning to the Strada Nuova, you will reach the point at which you will see the Fondamenta di San Felice, which gives onto the canal. Once you have arrived, you can refresh and reinvigorate yourself with a tasty morsel accompanied by a glass of Chardonnay in one of the historic locales. 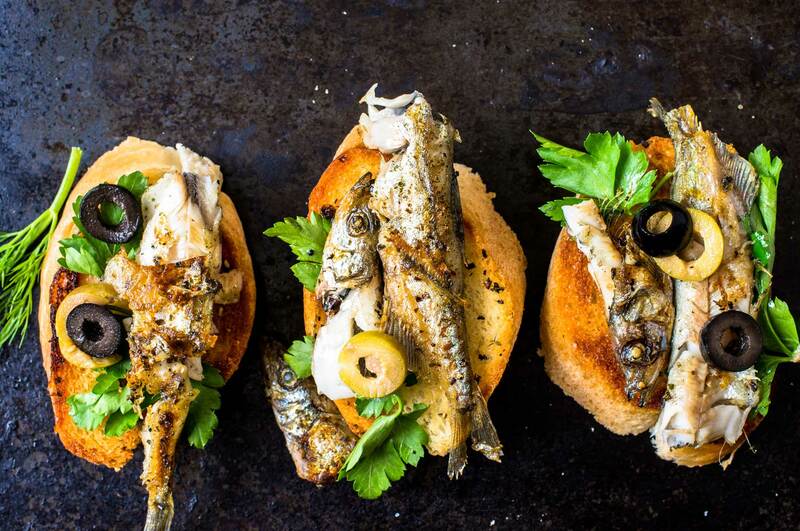 Those who wish to taste a traditional Venetian recipe born from the encounter of Venice and Jewish culture can try the mythical “sardi in saor”, sweet and sour sardines. 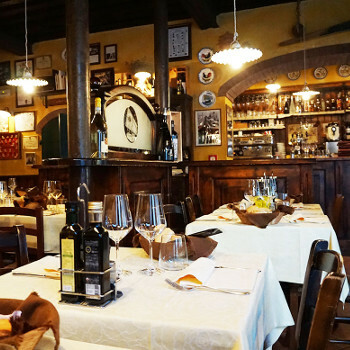 Having left the lovely bistrot, you can continue on your tavern (“bacaro”) tour, stopping in another spot to taste a Pinot Grigio accompanied by a plate based on fish. 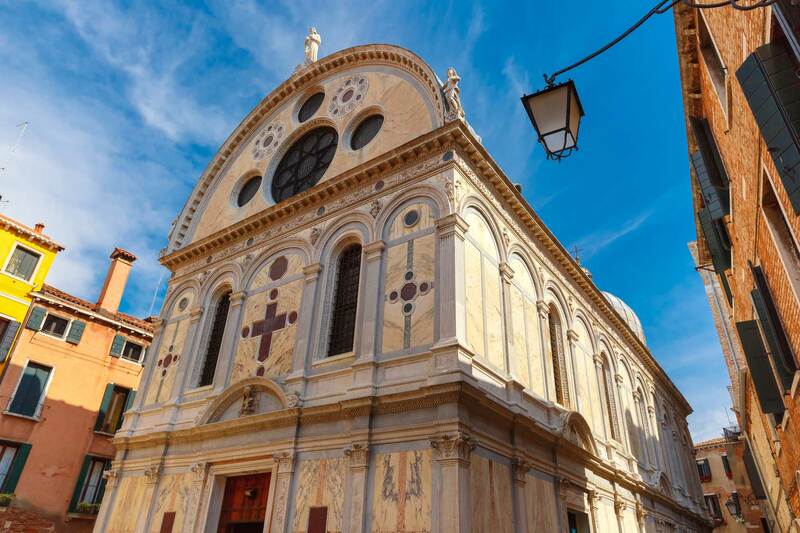 Continue the walk until you go past the Santi Apostoli church and the beautiful Church of the Miracles (Chiesa dei Miracoli) constructed by Sansovino; you shall arrive in front of the splendid Scuola Grande di San Marco, now the city’s hospital. Here you can admire the tromp e l’oeil marbles of the façade, realized with the marble from Constantinople. 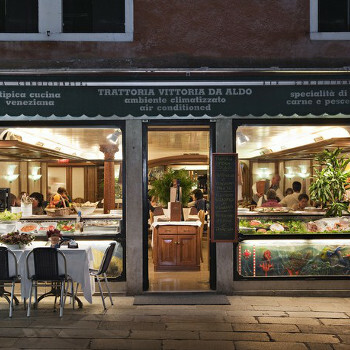 Take Calle Vesier at this point and go look for the most original book store of Venice, Acqua Alta. It takes it names for the thousands of books piled up for many years which were then submerged by the high tides which strike the city, thereby becoming hard as a rock. After this visit, passing through the Calle Santa Maria Formosa and then through Bogolocco, you will reach the right spot to refresh and reinvigorate yourself with a plate of “bigoi in salsa”, a dish vaguely of Jewish origin, accompanied by a good glass of Pinot Griigo or a DOC Venezia sparkling wine in one of the local taverns.